If you are considering dental implants, you may be wondering about how much dental implant cost. 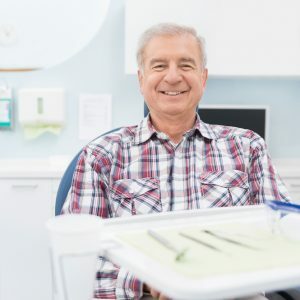 In Hingham, MA, our doctors offer dental implant consultations so that you may discuss your concerns, learn more about the procedure, and find out what the procedure will cost you. During a dental implant consultation, the doctors at Lightfoot Center evaluates your oral health and reviews your medical and dental history, and works with your restorative dentist allowing him to give you an accurate projection of your dental implant cost. The cost of implants fluctuates depending upon many factors, such as the number of implants you need to have placed, the planned final restoration, and any additional procedures that must be performed before the implants can be placed such as bone grafting. This is why a comprehensive examination and dental implant consultation is necessary to determine your dental implant cost. Our experienced doctors believe in treatment plans that are both advantageous and cost-effective for you. The number of implants you require will influence the cost of the implants. Replacing a single tooth individually or with a bridge will cost far less than restoring a full mouth of teeth. The type of implant restoration will also change the dental implant cost. Implants are a versatile application that may be used for implant supported single crowns, bridges,dentures, All-on-4, Teeth-in-a-Day, etc. Each planned restoration has a unique cost of treatment based on the patient’s needs and desires. There are circumstances in which you may need additional procedures before implants can be successfully placed. Each additional procedure will raise the final cost of having implant therapy. This includes sinus lifts, tooth extractions, bone grafts, gum grafts, and the treatment of existing periodontal disease. If you are interested in dental implants, schedule your one-on-one consultation with our experienced doctors to learn more and ask questions. After a complete evaluation, your doctor can determine whether dental implants are the best option for you!